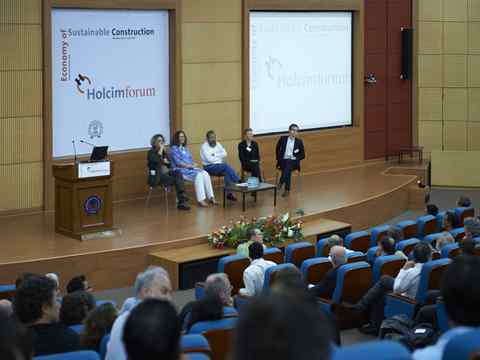 Group photo – The Holcim Forum on the theme of “Economy of Sustainable Construction” was attended by academics and professionals from architecture, civil engineering, urban planning, natural and social sciences, as well as representatives from business, politics, administration and civil society. 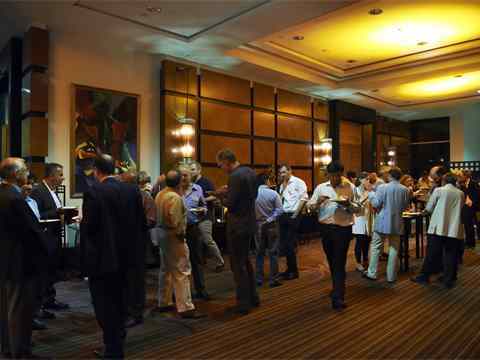 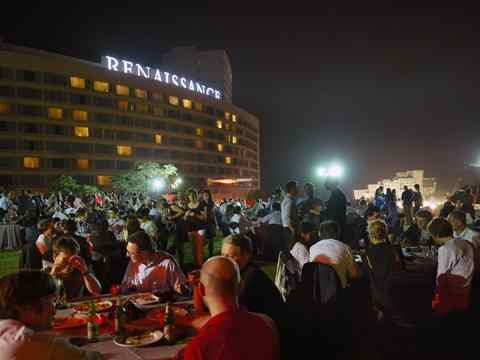 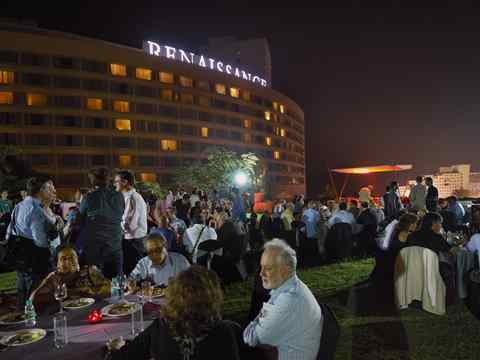 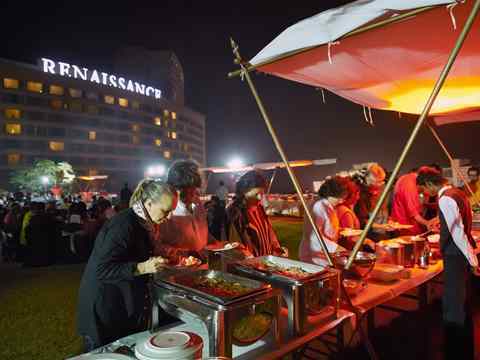 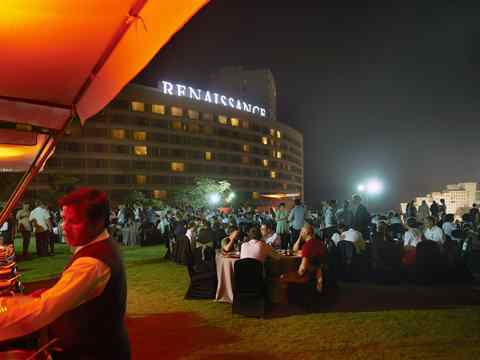 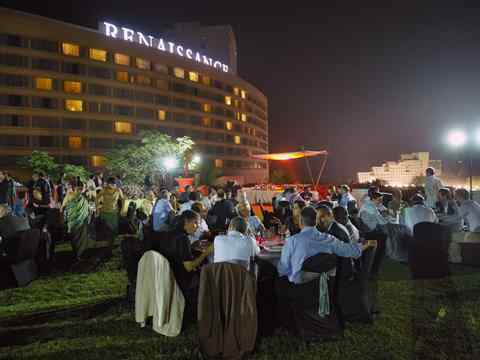 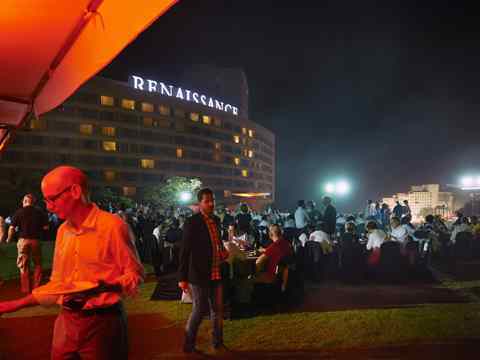 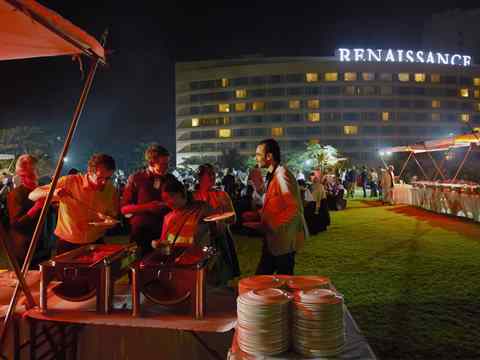 The 4th Holcim Forum commenced with a welcome dinner at the Renaissance Mumbai Convention Centre Hotel. 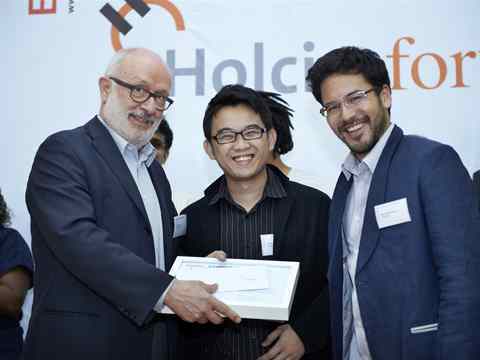 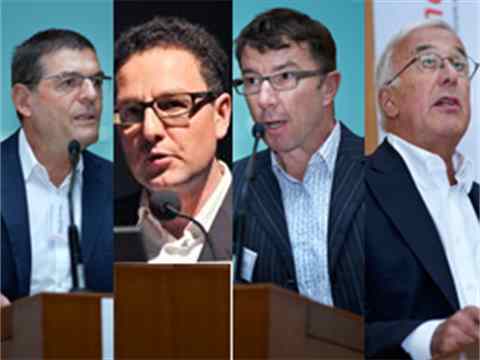 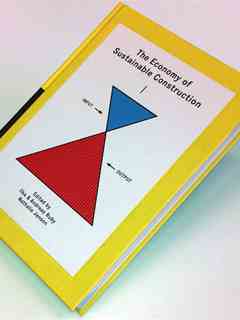 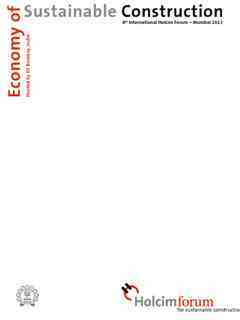 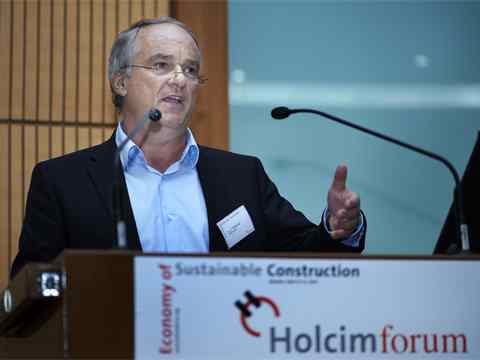 The Holcim Forum is a 3-day symposium on the topic of the “Economy of Sustainable Construction”. 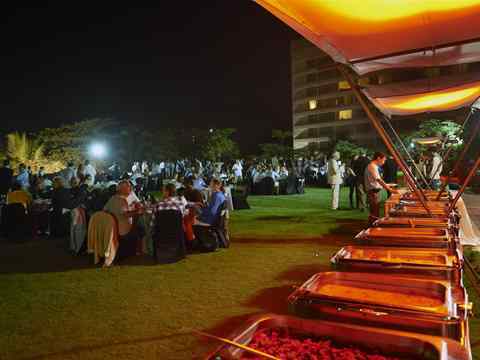 The 4th Holcim Forum commenced with a welcome dinner at the Renaissance Mumbai Convention Centre Hotel. 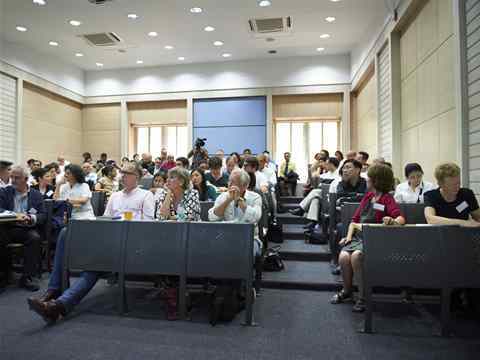 The conference will examine the paradigm shift associated with growing awareness of the considerable economic potential of sustainable development. 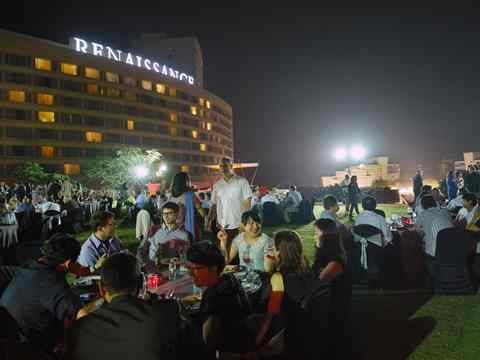 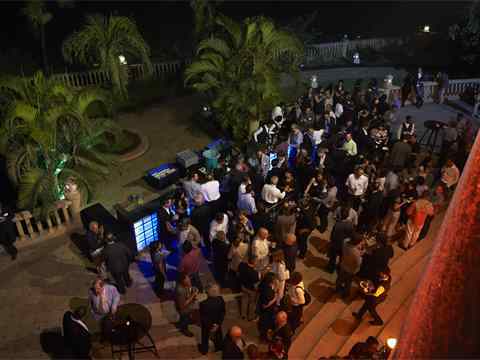 The 4th Holcim Forum commenced with a welcome dinner – the event offers opportunities for networking and discussion, stimulated by keynote speeches, workshops, panel sessions and a full-day excursion aligned with the workshop themes to sites in Mumbai. 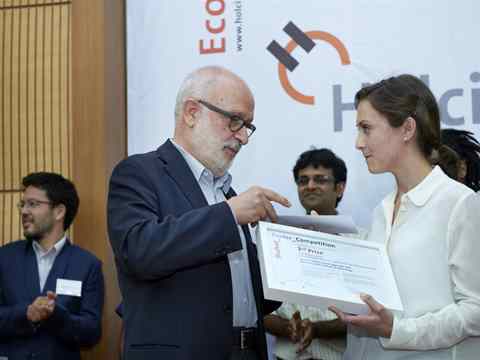 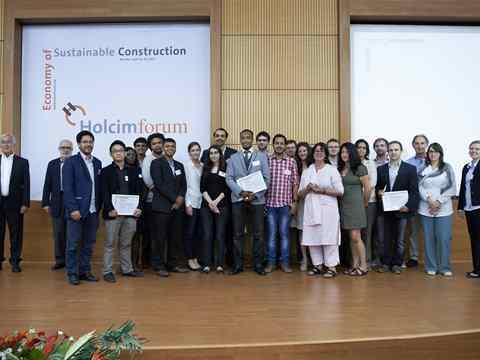 Academics and professionals from architecture, civil engineering, urban planning, natural and social sciences from all continents were welcomed to the 4th International Holcim Forum for Sustainable Construction held in Mumbai April 11-13, 2013. 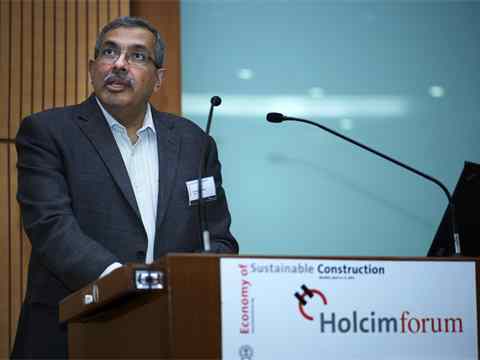 The Welcome address at the 4th Holcim Forum 2013 in Mumbai, India by delivered by Devang Khakhar – Director, Indian Institute of Technology (IIT Bombay), India. 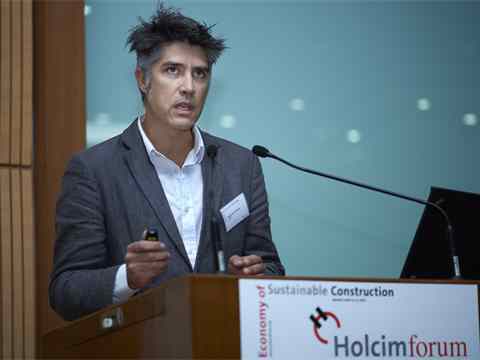 Alejandro Aravena delivering his keynote address at the 4th Holcim Forum in Mumbai, India, 2013. 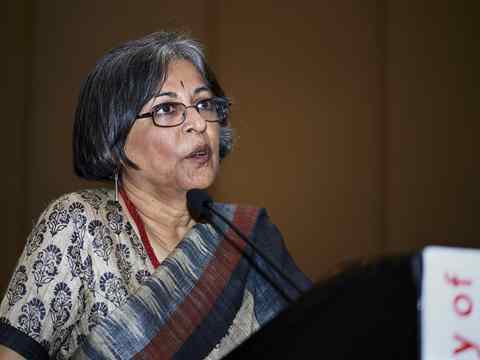 Delivering her keynote address at the 4th Holcim Forum in Mumbai, India, 2013: Brinda Somaya – Architect and urban conservationist from Mumbai, India – Principal Architect and Managing Director at Somaya and Kalappa Consultants; founding trustee of the HECAR Foundation; and advocate of the work of women architects in South Asia. 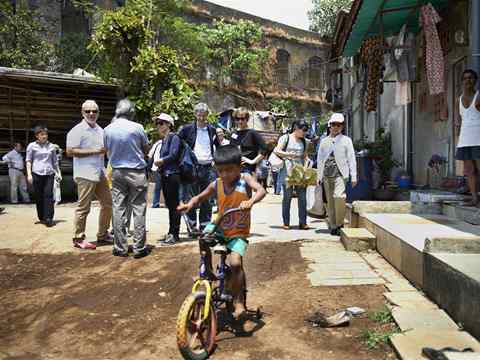 4th Holcim Forum in Mumbai, India 2013: Yellow Mobile workshop - Park Site Colony of Vikhroli is a densely populated informal area that has houses, shops, small businesses and schools connected by narrow lanes. 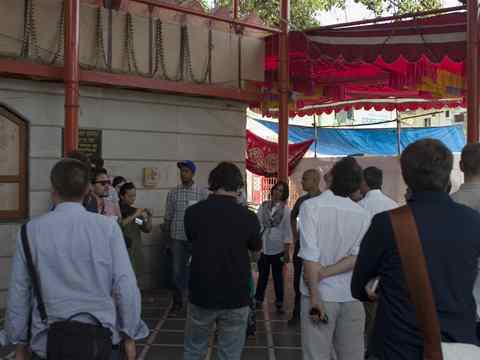 4th Holcim Forum in Mumbai, India 2013: Yellow Mobile workshop - Local resources: Space around the Hanuman Temple is used by a pre-school for tiny-tots as well as by small-scale businesses. 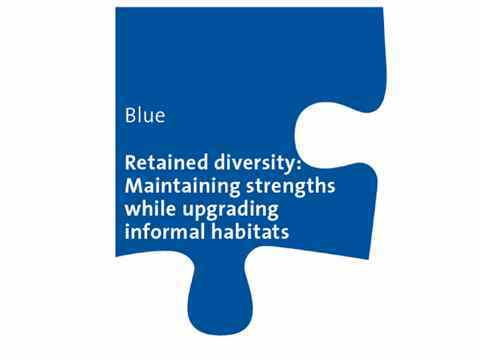 The two sites illustrate how diverse communities can co-exist and optimise scarce resources to create a safe environment for families that have limited access to space for recreation, education and sanitation. 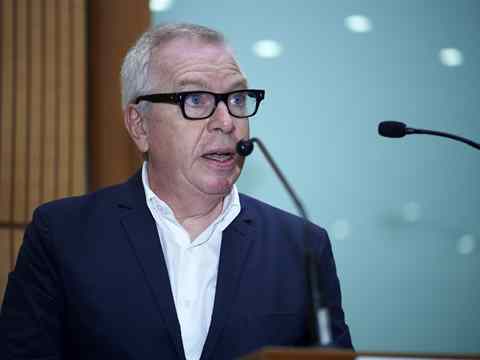 Photo: Niklaus Haller. 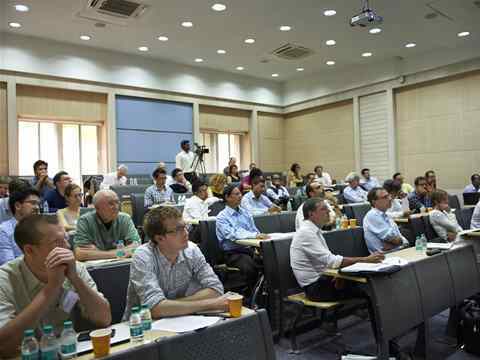 4th Holcim Forum in Mumbai, India 2013: Yellow Mobile workshop - Local resources: Bhavan’s College is one part of the Bharatiya Vidya Bhavan, a reputed educational trust founded in 1938 with the support of Mahatma Gandhi. 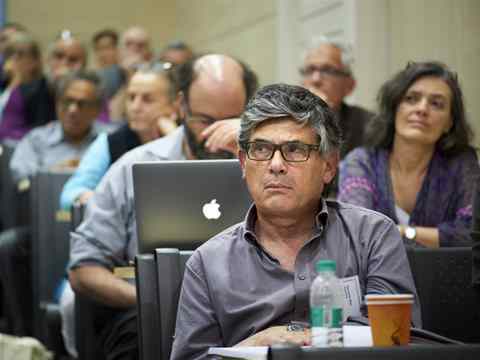 Photo: Niklaus Haller. 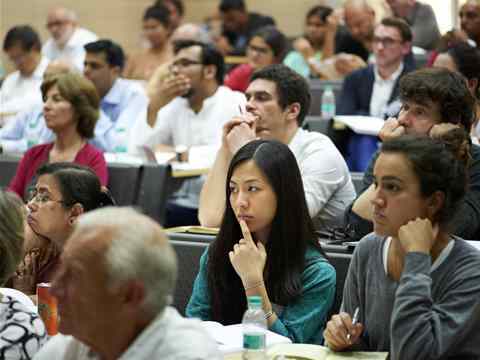 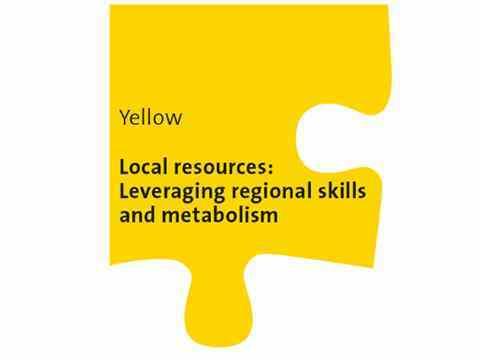 4th Holcim Forum in Mumbai, India 2013: Yellow Mobile workshop - Local resources: Affiliated to the University of Mumbai, Bhavan College offers graduate, post graduate and doctoral level courses in the arts and sciences. 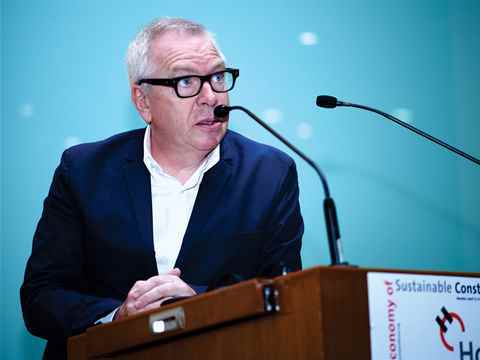 Photo: Niklaus Haller. 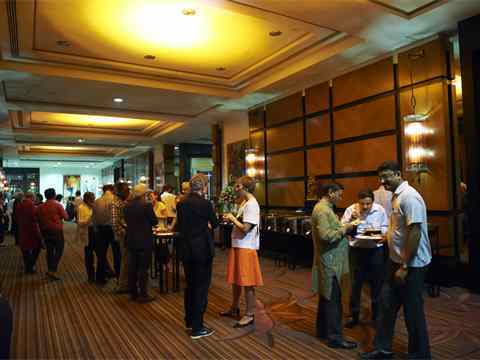 4th International Forum: Green Mobile Workshop. 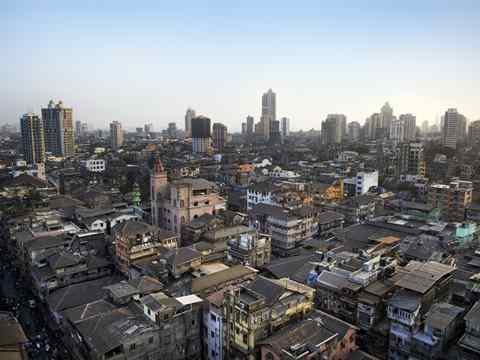 A typical residential style of this period is the “chawl”: a midrise block of flats with shared or common balcony space. 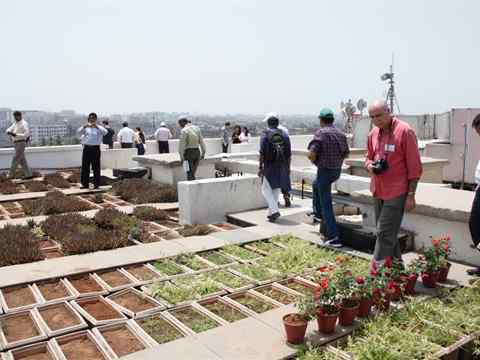 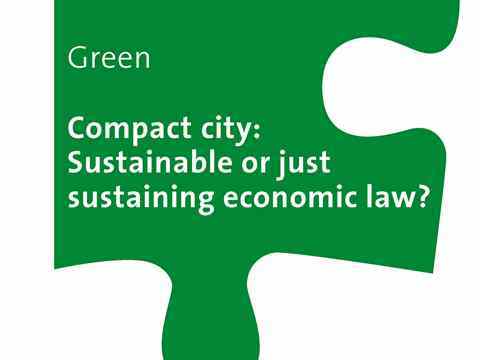 4th Holcim Forum in Mumbai, India 2013: Green Mobile workshop - Compact city: This workshop aims at analyzing what differentiations need to be made with respect to specificity of site and society when evaluating the scale and density of a city. 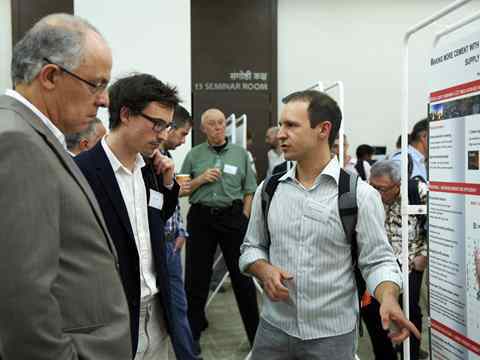 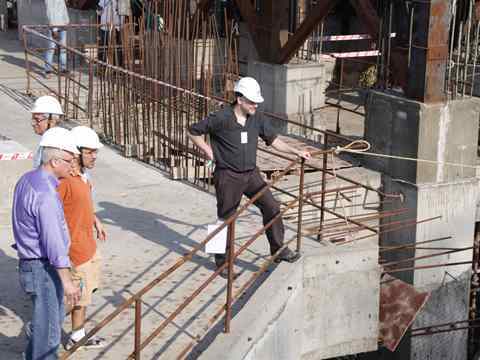 Pictured (in cap): Workshop expert, Rahul Mehrotra. 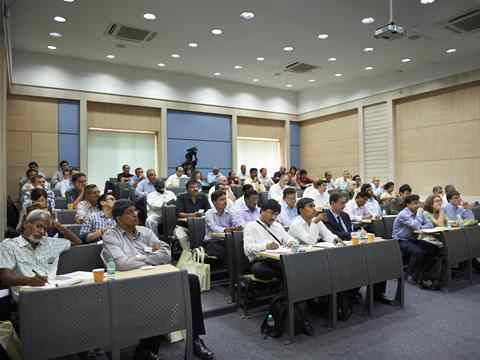 4th Holcim Forum in Mumbai, India 2013: Blue Mobile workshop - Compact city: Mumbai’s economic growth in the late 19th century is directly linked to the rise of its textile industry. 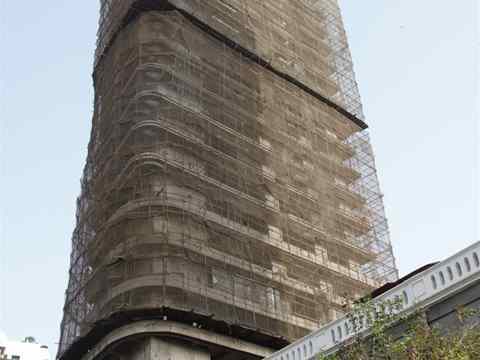 Workers lived around each mill in provided housing such as the “chawl”: a midrise block of flats with shared or common balcony space – a distinct form of affordable housing suitable for Mumbai. 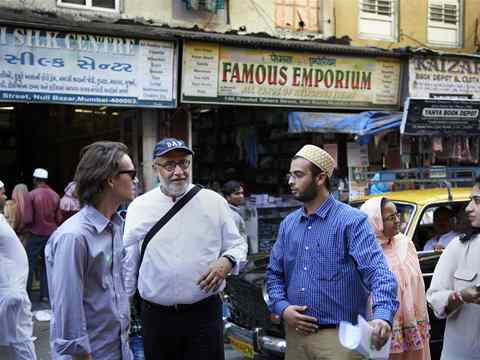 4th Holcim Forum in Mumbai, India 2013: Blue Mobile workshop - Compact city: Bhendi Bazaar Muslim community is now overcrowded with many buildings in disrepair. 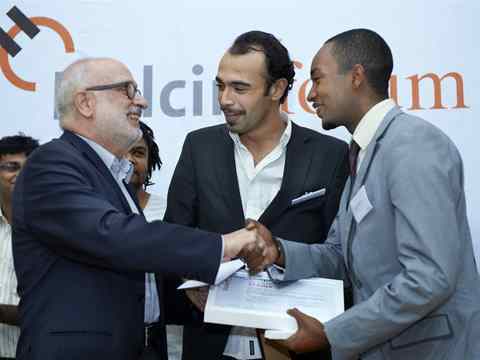 The Saifee Burhani Upliftment Trust (SBUT) has proposed an entire district-scale redevelopment project that maintains the community’s religious and cultural character. 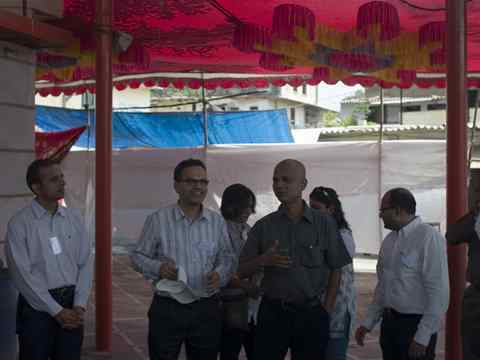 4th Holcim Forum in Mumbai, India 2013: Blue Mobile workshop - Retained diversity: The Society for the Promotion of Area Resource Centres (SPARC) is an NGO working to secure housing and infrastructure issues for the urban poor. 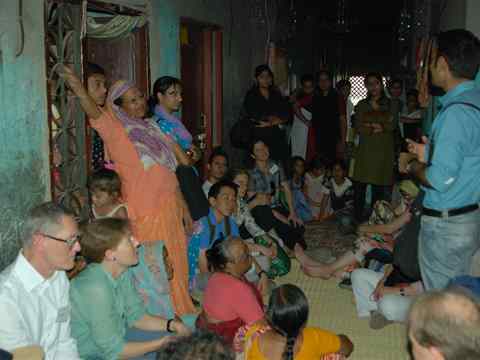 SPARC began work in Mumbai’s pavement slums, where they formed a network of women’s collectives called Mahila Milan (“Women Together”) & entered a partnership with the National Slum Dwellers Federation (NSDF). 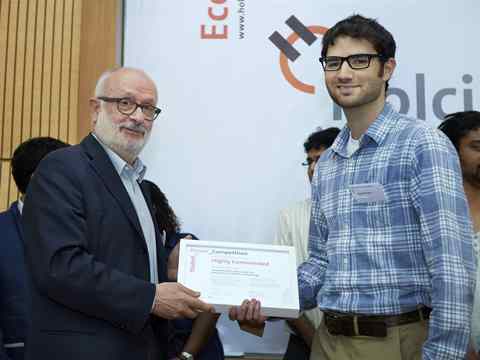 4th Holcim Forum in Mumbai, India 2013: Blue Mobile workshop - Retained diversity: Dharavi – This informal settlement is also significantly productive with home based enterprises and industrial workshops engaged in manufacturing, service and food sectors. 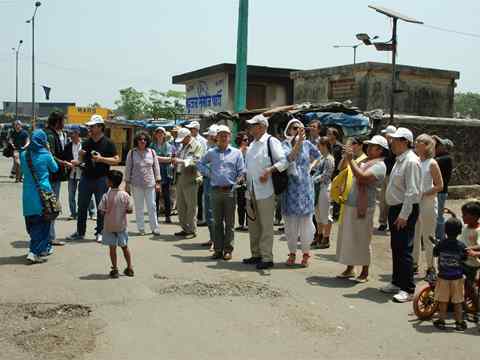 4th Holcim Forum in Mumbai, India 2013: Blue Mobile workshop - Retained diversity: Dharavi – Located on prime land in the centre of Mumbai, Dharavi is spread over 400 hectares. 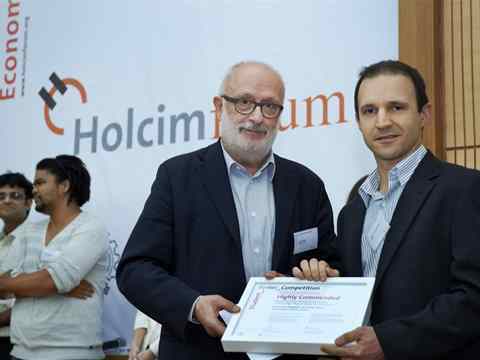 4th Holcim Forum in Mumbai, India 2013: Yellow Workshop group. 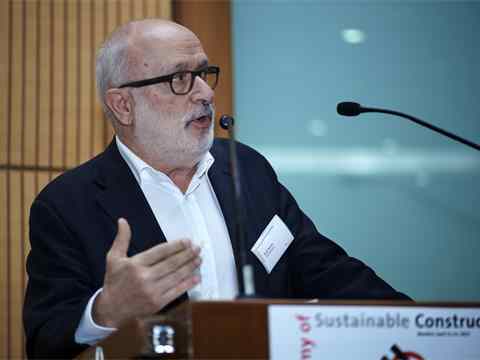 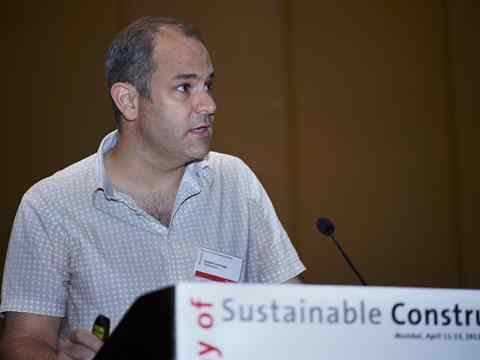 4th Holcim Forum in Mumbai, India 2013: Fernando Diez, Argentina in the Green Workshop group. 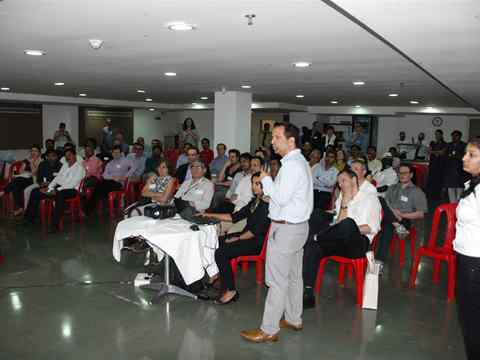 4th Holcim Forum in Mumbai, India 2013: Green Workshop group. 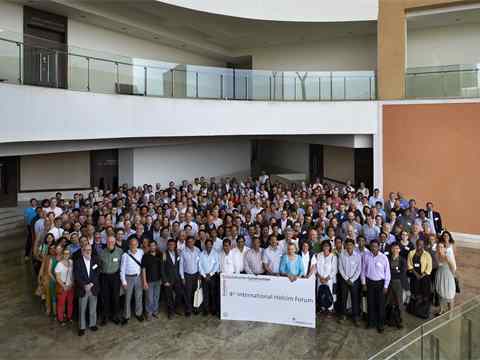 4th Holcim Forum in Mumbai, India 2013: Blue Workshop group. 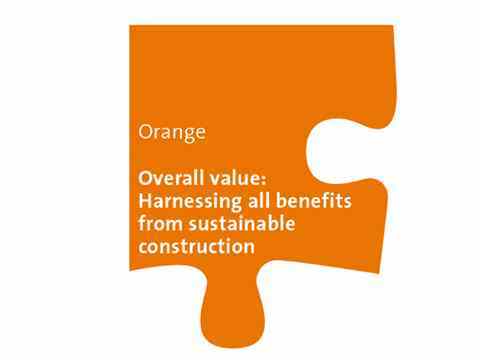 4th Holcim Forum in Mumbai, India 2013: Orange Workshop group. 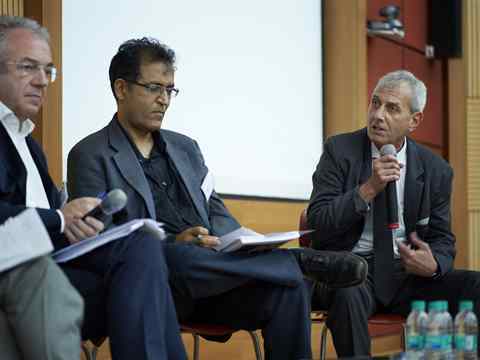 4th Holcim Forum in Mumbai, India 2013: Concluding debate discussing workshop findings (l-r): Werner Sobek, University of Stuttgart; Nirmal Kishnani, National University of Singapore & Marc Angélil, ETH Zurich. 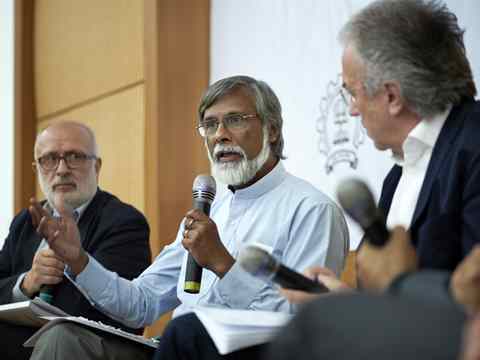 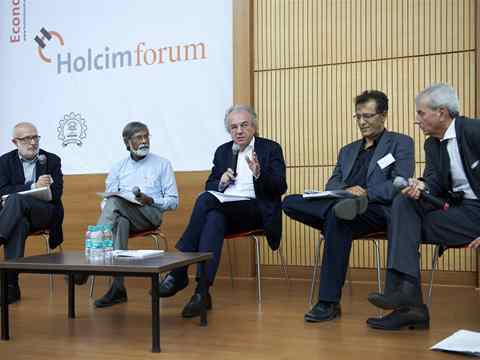 4th Holcim Forum in Mumbai, India 2013: Concluding debate discussing workshop findings (l-r): Rolf Soiron (moderator), Holcim Foundation; Ashok Lall, Ashok B Lall Architects & Werner Sobek, University of Stuttgart. 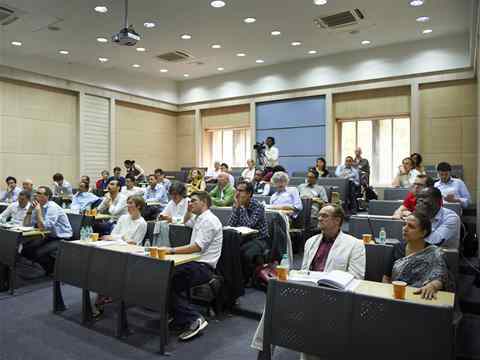 4th Holcim Forum in Mumbai, India 2013: Workshop reporters present and discuss workshop findings (l-r): Mohsen Mostafavi (moderator), Chrisna du Plessis, Sanjay Prakash, Sarah Graham & Niklaus Haller. 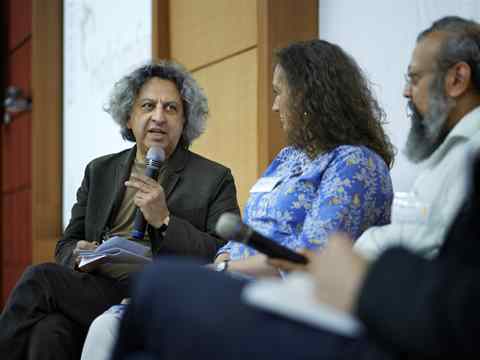 4th Holcim Forum in Mumbai, India 2013: Workshop reporters present and discuss workshop findings (l-r): Mohsen Mostafavi (moderator), Harvard University; Chrisna du Plessis, University of Pretoria & Sanjay Prakash, Indian Institute for Human Settlements. 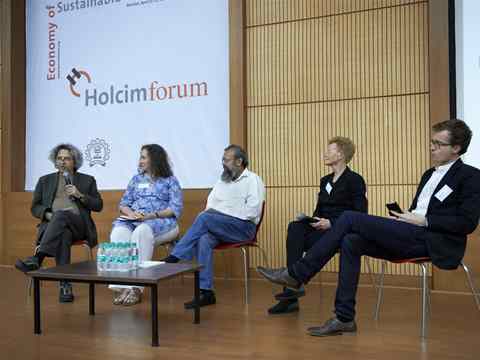 4th Holcim Forum in Mumbai, India 2013: Workshop reporters present and discuss workshop findings (l-r): Mohsen Mostafavi (moderator), Chrisna du Plessis, Sanjay Prakash, Sarah Graham & Niklaus Haller. 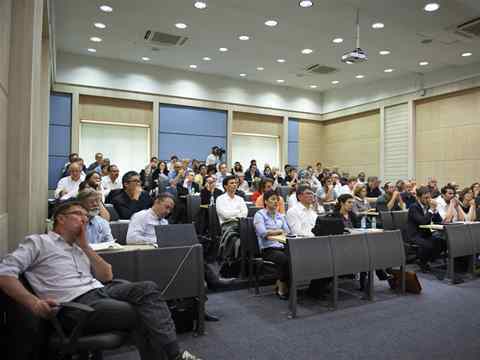 Following presentation of findings, the panel engaged with the plenum and discussed further details of the “Economy of Sustainable Construction”. 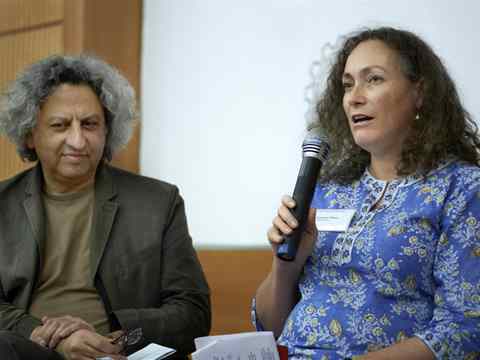 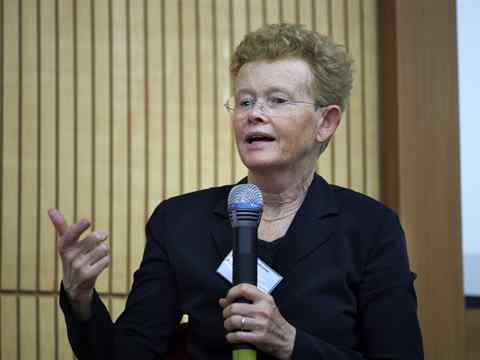 4th Holcim Forum in Mumbai, India 2013: Workshop reporters (l-r): Chrisna du Plessis, Associate Professor, School for the Built Environment, University of Pretoria (South Africa) & Sanjay Prakash, Senior Advisor, Indian Institute for Human Settlements (IIHS), Bangalore (India). 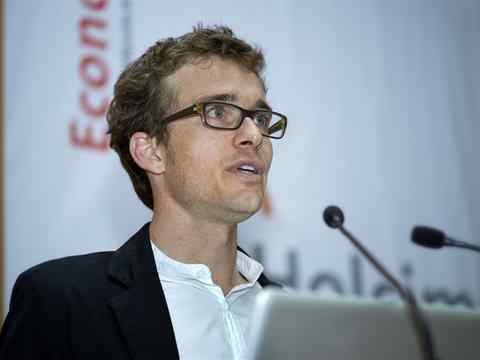 4th Holcim Forum in Mumbai, India 2013: Presenting the workshop findings for “Local resources – Leveraging regional skills and metabolism”: Niklaus Haller, Research Assistant, Chair of Building Systems, Institute of Technology in Architecture, ETH Zurich (Switzerland). 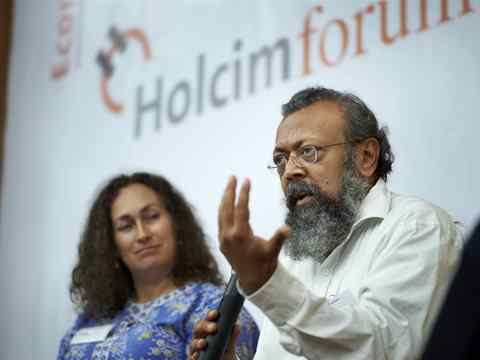 4th Holcim Forum in Mumbai, India 2013: During the workshop reporters’ discussion (l-r): Mohsen Mostafavi (moderator), Dean of the Graduate School of Design (GSD), Harvard University in Cambridge, MA (USA) with workshop reporter for “Overall value” – Chrisna du Plessis, Associate Professor, School for the Built Environment, University of Pretoria (South Africa). 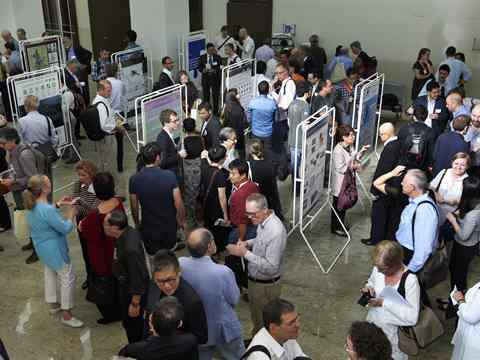 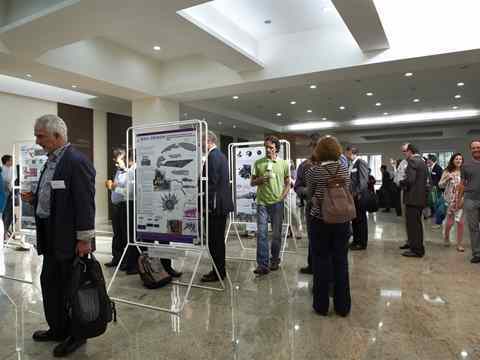 4th Holcim Forum in Mumbai, India 2013: Student poster exhibition. 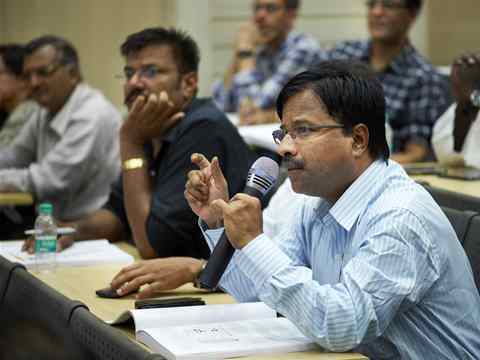 Workshop findings presented by Sanjay Prakash. 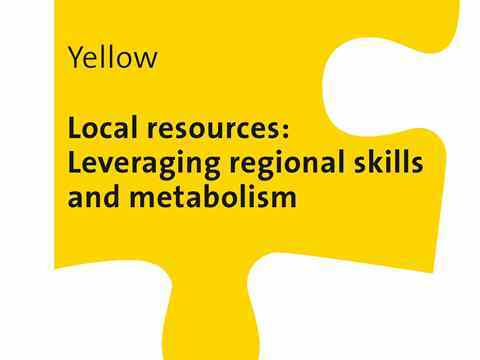 Presenting the yellow workshop findings for “Local resources – Leveraging regional skills and metabolism”: Niklaus Haller, Research Assistant, Chair of Building Systems, Institute of Technology in Architecture, ETH Zurich (Switzerland). 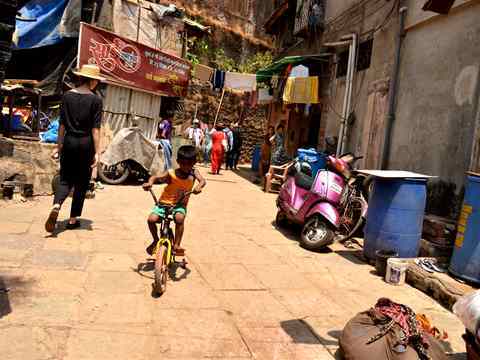 Retained diversity: Dharavi – The architecture is a mosaic of housing typologies - tiny shanties, dense tenements and concrete buildings. 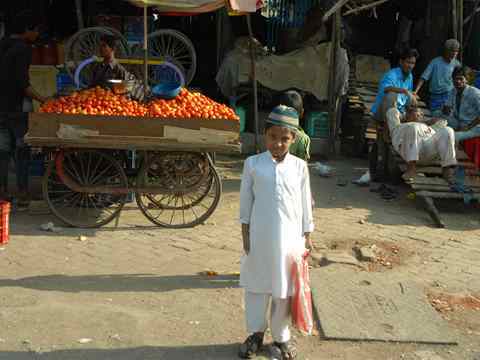 Dharavi is a haven of work and affordable housing to its residents. Workshop findings presented by Sarah Graham. 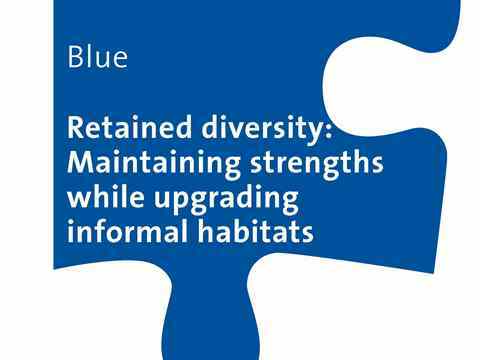 Workshops findings presented by Chrisna du Plessis.